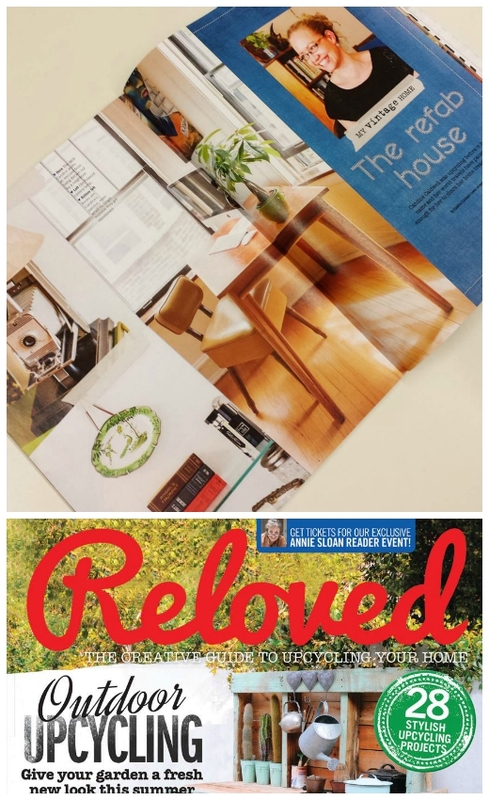 Reloved: August issue now in the US! I hear from a reliable source that the August issue of Reloved is finally on shelves in the US! Pick it up at Barnes and Noble (not sure if it's stocked anywhere else). And if you want the tutorials for all the projects mentioned/featured in my feature ("The "ReFab House") click here. 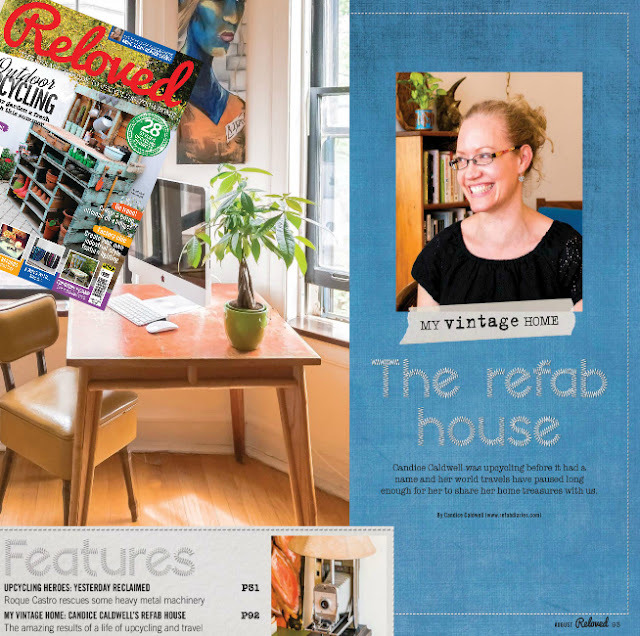 My home is featured in the August issue of Reloved Magazine. Just typing that sentence makes me a little giddy. Why? So many reasons. 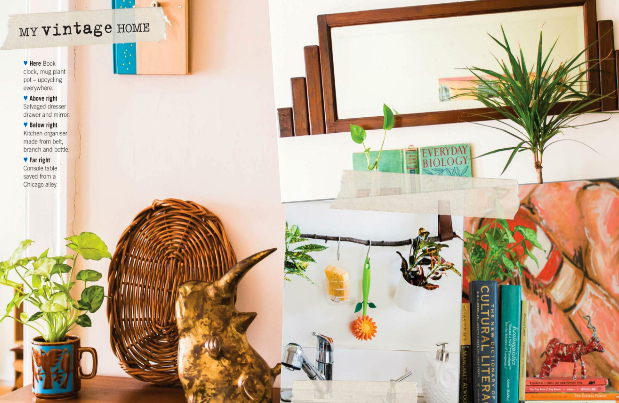 Because upcycling is something now deemed worthy of print. Because I really LOVE this magazine. Because the little girl in me who always wanted to be a journalist, just got something published in a magazine. 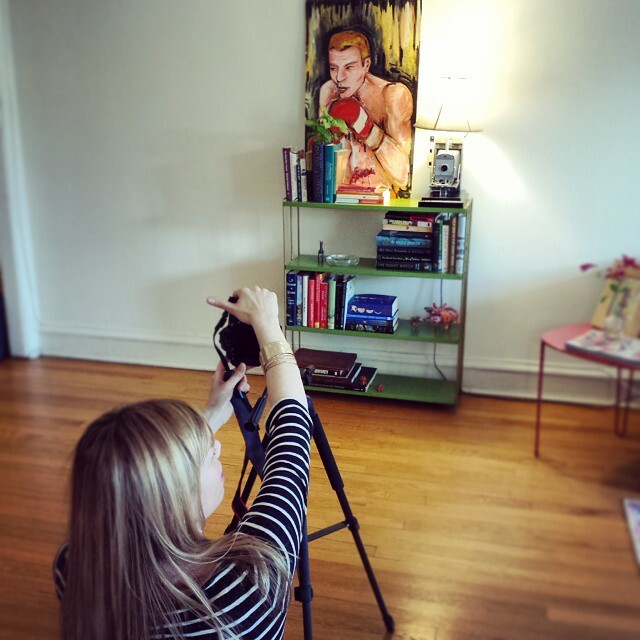 Thank you to my amazing friend Julia Brenner for shooting EVERY picture you see across the 4-page spread. Also mentioned in the piece are artists Meg Peterson and Heidi Shedlock, both of whom inspire me and have gifted work to me that makes my life better. In case you're wondering, my dress is from my favorite consignment store (Crossroads Trading Co) and my earrings are South African 1c coins lovingly upcycled into hearts by The House of Kallie.